What Works Scotland has an open group on the Knowledge Hub, the online public service community. Over the next few months, we’ll be using this space to share materials for our final conferences and then continue the conversations on the topics we have researched and explored over the past few years. We’ve published the What Works Scotland submission to the Locality’s Inquiry: Keeping it Local Call for Evidence. Our response focused on the role of community organisations, and we highlighted research we have carried out which backs up strengthening community voices and sustainable local development. Community empowerment and public service reform are central to the Scottish experience of participatory budgeting. Does this also open a window of opportunity for democratic innovation? This webinar will look at what needs to happen to ensure that the mainstreaming of PB simultaneously carves out space for more complex participatory and deliberative processes in local government decision-making. It’s part of the PB Scotland Festival, two days of events, discussion and ideas around participatory budgeting in Scotland, taking place on 24 and 25 October. The conference will focus on engaging with research insights into what works, and what does not, in community empowerment as well as discussing implications for the future of policy and practice in Scotland. 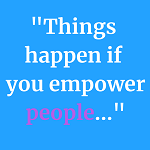 This webinar will draw from the recent What Works Scotland research report on community-led, holistic community organisations – in particular as community development trusts and community-controlled housing associations. The researchers will introduce the community anchor model, make links between the role of community anchors and public service reform, and highlight themes of social change. There will also be an opportunity for questions and discussion. Hold the date for Effective Leadership and Networked Governance on 4 December in Glasgow, the final What Works Scotland conference. Organised by the Robert Owen Centre for Educational Change and What Works Scotland, Professor Daniel Muijs, Head of Research at OfSTED, spoke about encouraging the development of evidence-informed approaches across the education sector. Presentation is now available online. There is increasing political and academic interest in the potential effects of implementing a universal basic income scheme in which all individuals are unconditionally provided with a substantial, regular sum of money on a long-term basis. While a universal basic income has never been implemented, there have been a number of interventions which involve the unconditional provision of a substantial amount of money to individuals or households. This is the first study to use scoping review methods to systematically identify, extract, and interpret evidence from relevant studies on the design, evaluation and impacts of such interventions. 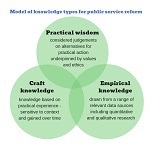 This report highlights the complex and diverse ways in which public services use evidence in decision-making processes. The in-depth case study of a local authority area, the work included interviews with 20 participants in community planning—service providers, community members and research and policy officers. It reveasl that evidence use in community planning is a craft that involves valuing and interweaving different forms of evidence and knowledge together – recognising that evidence becomes meaningful through communication. Leadership is crucial to the development and delivery of effective public services. What Works Scotland has published two policy briefings to inform thinking and future developments in public service leadership across Scotland. Public service leadership: Rethinking leadership for collaborative settings looks at why we need to rethink leadership practice and what could be the next steps. Public service leadership: what works? presents highlights from our findings about new thinking and new ways of working in leadership and management. Evaluation Support Scotland is preparing its strategic plan for 2019-2023 and would like to hear your views on what ESS should be doing in the future. Complete the questionnaire on Survey Monkey . It’s open until Friday 12 October. Iriss is celebrating its 10-year anniversary by asking for your views to help develop the way forward for Iriss and how it can best make a difference to social services in Scotland. Complete the survey by 30 October. You could win a gift voucher! PBScotland is co-ordinating the PB Festival 2018. 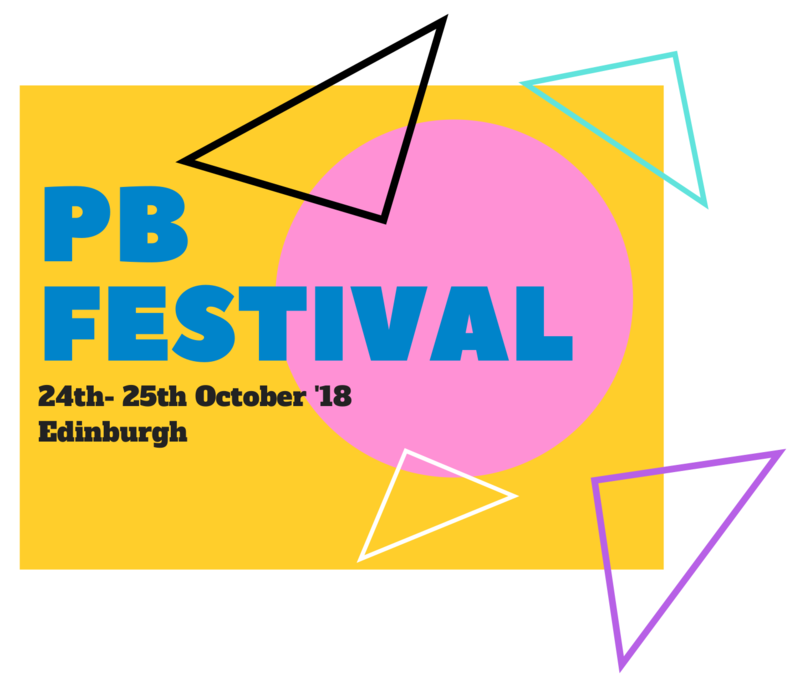 Taking place across the country, on 24-25 October, the PB Festival is two days of events, discussion and ideas around participatory budgeting in Scotland. Get involved! The Housing Studies Association will hold its autumn lecture in Edinburgh on Thursday 15 November, supported by Hanover Scotland and CaCHE. The speakers will reflect on a new strategy needed for older people’s housing. Find out more on the HSA website. Voluntary Health Scotland‘s Annual Conference will take place in Edinburgh on Tuesday 20 November, with a focus on culture, health and wellbeing. Ticket prices range from free for members to £65 + booking fee. Find out more on the VHScotland website. Evaluation Scotland is running a series of three Inspiring Impact events on 14 November 2018, 5 March and 12 June 2019 to support the Scottish third sector with impact measurement. The programme for the Digital Health and Social Care Conference is a collaboration between Technology Enabled Care and Digital Healthcare Innovation, eHealth Scottish Government teams, NHS 24 (SCTT), Local Government Digital Office, BCS, The Chartered Institute for IT and the ALLIANCE. The free conference is on 28 November in Glasgow. See more on the website. The Joseph Rowntree Foundation has published Poverty in Scotland 2018, a new analysis looks at poverty trends for families with children in Scotland, reflecting the commitments in the Child Poverty (Scotland) Act to achieve substantial reductions by 2030. The Evaluation Support Scotland Activities and Impact report 2017/18 has a focus on its relationships with third sector organisations, funders and others. In particular it shares learning about the relationship between funders and funded organisations. The report Attracting and retaining migrants in post-Brexit Scotland: is a social integration strategy the answer? has been published by SPICe and University of Glasgow. It examines the potential impact of implementing a social integration strategy to promote the inclusion of migrants, for instance, by building a culture of welcome and supporting migrants to build social connections. CaCHE has published The frustrated housing aspirations of generation rent, a report presenting key findings from the CaCHE research project which highlights the emotional impacts upon young people (under 35) living in the private rented sector and makes six key housing policy recommendations. The Child Poverty Action Group has developed a Cost of the School Day Toolkit with a range or resources to support school communities to explore financial barriers and plan action to overcome them. NHS Health Scotland has released a short film on theCost of School. explaining why addressing child poverty in schools is important and to share insights, approaches and tools to support low cost and low resource solutions at local authority and school level. The Carnegie UK Trust has published Measuring Good Work, a report compiled by theCarnegie UK Trust-RSA Working Group on Measuring Job Quality. It presents a measurement framework for tracking progress towards the outcome of good work for all assessing issues such as work-life balance, mental health, opportunities for progression and feelings of purpose, involvement and control at work. A report by the Food Foundation called The Affordability of the Eatwell Guide has found that around 3.7 million children in the UK are part of families who earn less than £15,860 and would have to spend 42% of their after-housing income on food to meet the costs of the Government’s nutrition guidelines, making a healthy diet most likely unaffordable.